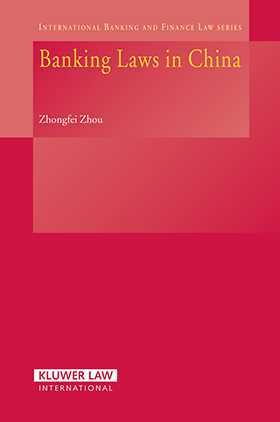 In this authoritative book, a leading Chinese expert on financial and economic law thoroughly explains the functions, activities and procedures that characterize the behaviour of financial institutions under current Chinese law. Part One: Central Banking Law. Chapter 1. Central Banking Functions of the PBOC. Chapter 2. Independence and Accountability of the PBOC. Part Two: Domestic Banking Law. Chapter 3. Bank Entry. Chapter 4. Risk-Based Regulation. Chapter 5. Risk-Based Examinations. Chapter 6. Problem Bank Resolution and Enforcement. Part Three: Foreign Banking Law. Chapter 7. Foreign Bank Entry. Chapter 8. Foreign Bank Regulation.